The study, published in the advance online issue of Nature Neuroscience , provides the first direct evidence that one component of age-related memory decline is caused by changes in a specific region of the brain called the dentate gyrus and that age-related of memory decline can be modulated by dietary intervention. Researchers at Columbia University Medical Center (CUMC) recruited 37 healthy volunteers 50 to 69 years of age to participate in the study. The volunteers were randomized to receive either a high- or a low-flavanol diet. Brain imaging to measure blood volume in the dentate gyrus and a memory test involving pattern recognition were done for each volunteer before and after the study. The scientists found enhanced function of the dentate gyrus, as measured by fMRI and by cognitive testing, in participants that consumed the high-cocoa-flavanol drink. The cocoa flavanol-containing test drink was prepared specifically for research purposes by the food company Mars, Incorporated, maker of M&M’s and Snickers bars, which has patented a way to extract flavanols from cocoa beans. However, don’t jump to the conclusion that all one needs to do is consume more chocolate. The cocoa flavanol drink is NOT the same as chocolate and will not produce the same effect. 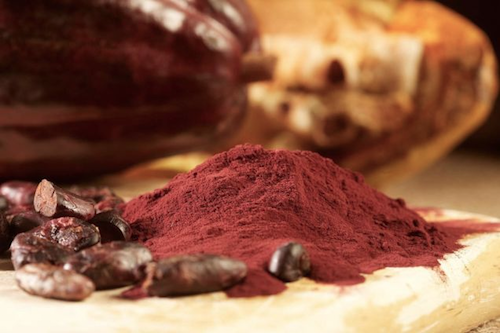 In fact, most methods of processing cocoa remove many of the flavanols found in the raw plant. It’s important to note that the specially formulated cocoa-based drink high in flavanols made older people slightly faster, but not more accurate, in memory tests. Thus, the research is valuable from the perspective of gaining a better understanding of aging and brain function, but hasn’t been shown to be a treatment for cognitive decline. Moreover, the research was only done with 37 healthy people over a short period of time. Larger, longer studies that include patients with dementia need to be done before claims on reversing age-related and/or disease-related memory can be made. Mars, Incorporated, is very focused on cocoa flavanols. In July, we wrote about a new study sponsored in part by Mars Inc. to see if pills containing the nutrients in dark chocolate (flavanols) can help prevent heart attacks and strokes. Mars is funding these studies to generate data to support flavanol’s use as a bioactive molecule. Brickman et a. Enhancing dentate gyrus function with dietary flavanols improves cognition in older adults. Nat Neurosci. 2014 Oct 26. doi: 10.1038/nn.3850.